When you see an ABS warning light the first thing you should check is the system fuse, this is done by the use of a simple test light. The abs system is like any other electrical system and is protected by a fuse that can blow if an electrical surge or short circuit occurs or if the fuse ages. When a short circuit occurs there is usually a problem in the ABS pump motor or controller. Most ABS fuses are located in the fuse panel under the dash or in the power distribution center under the hood. Consult your car's owner manual for exact locations and follow the guide below. 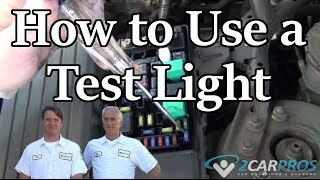 Here is a video that gives you an idea on how to locate and test the fuse. Once you are done watching continue down the guide to get more information and tips on the repair. Locate the fuse panel or power distribution center either under the hood or dash depending on the manufacturer and model of your car. If you cannot find the ABS fuse location consult your owner's manual or you can check an online manual like Mitchell1. When checking this fuse look for corrosion or rust and see if the fuse is loose or melted. These are all signs the fuse is having a problem. Then connect the test light to ground so you can be ready for the test. This test light checks continuity of the fuse and if power is present at the system. 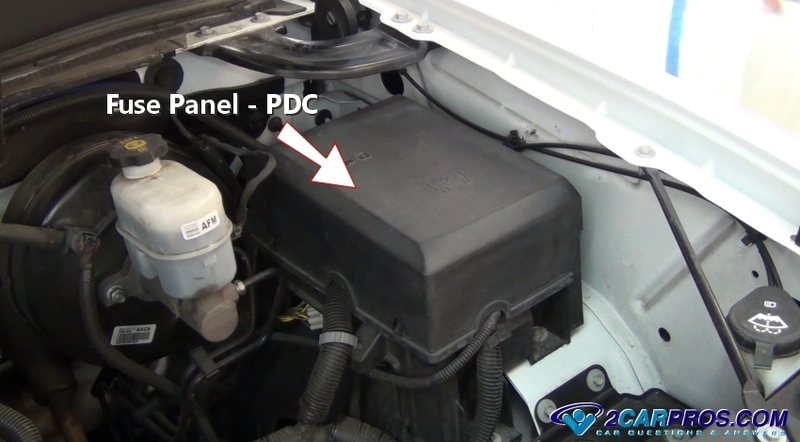 Also check for corrosion and water in the power distribution center, dry or clean as necessary. Try to wiggle the fuse to see if it's loose, if so use a small standard screwdriver to enhance the connection by bending the metal terminal prongs inward to enhance the connection. 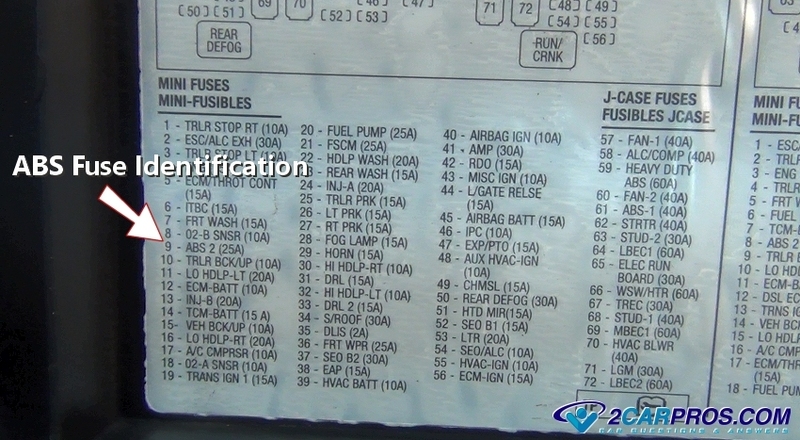 On the bottom of the fuse panel lid there is usually a diagram showing the identification number of the fuse and the amperage used. There should be a "road map" showing the location of the fuse on the same panel. 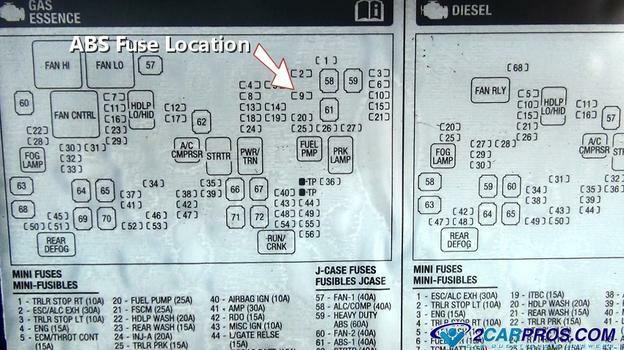 Here is the diagram that shows you where the fuse is located in the panel that correlates with the identification number. 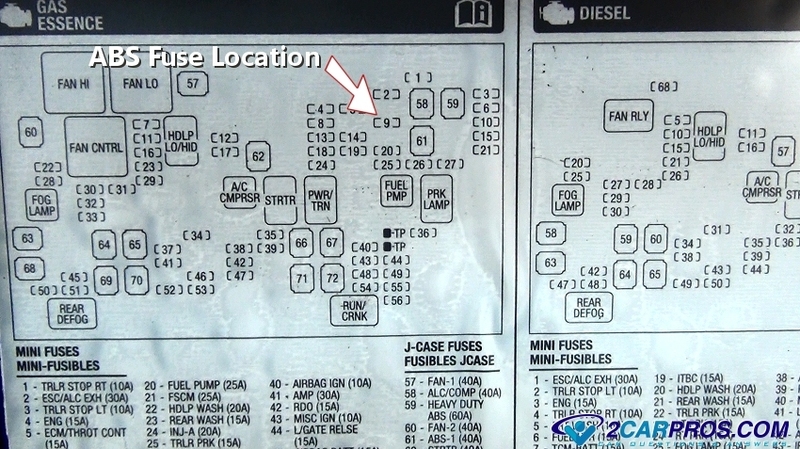 Some fuse panels only have a number location in which case the owners manual must be used for this identification. Once located, use a test light which is connected to ground to test both sides of the fuse. This will ensure the fuse is working correctly. If you cannot seem to get power at either side of the fuse touch the test light tip against the positive side of the battery, it should light up. This will let you know the test light is working. 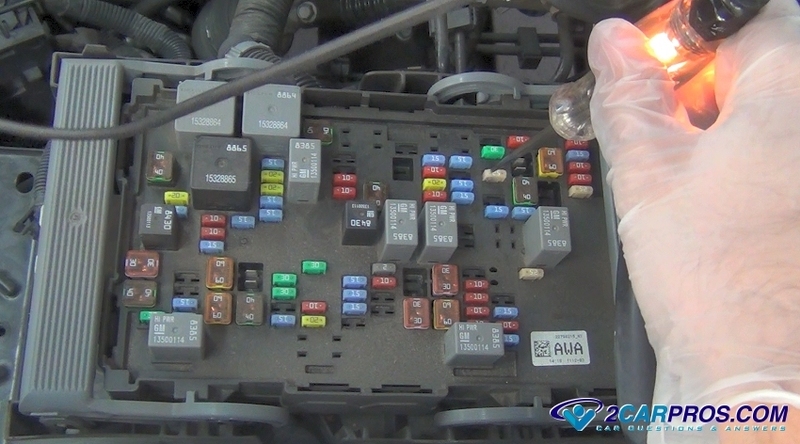 The ABS system relay is integrated into the unit on some cars while other models will have the relay in the same panel as the fuse. If so, this relay should be checked and replaced if it is not working. 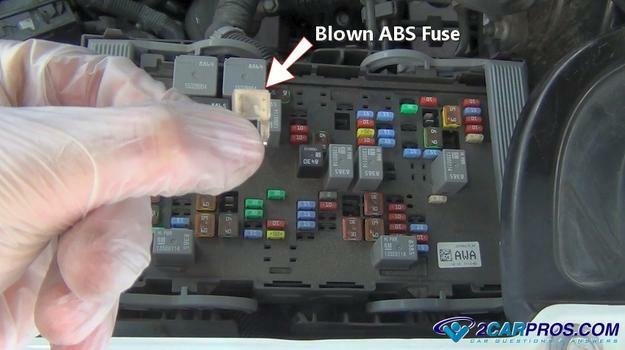 If a blown fuse is found, replace it with a new fuse of the same amperage. Never install a fuse with more amperage than is called for as this could cause damage to the wiring or additional components. 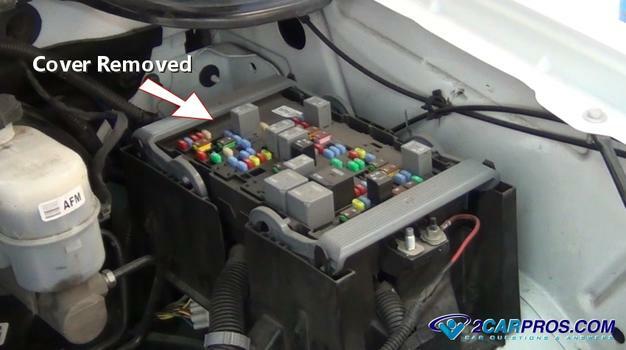 If you would like to see ABS fuse questions and answers please visit our forum where our mechanics hang out.